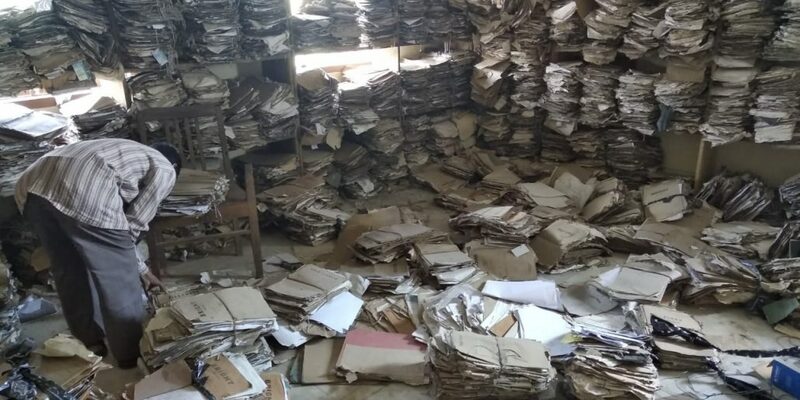 Nayan Jyoti Sarmah, an employee of SBI here had a harrowing time at the district transport office on Monday in a bid to locate his car’s registration file. Unable to locate the file in the mess, Sarmah was asked to come after a week. “The registration of my car was for five years and I decided that I’d like to extend it for another 10 years. After applying the lady who received the application asked me to get my earlier registration file from the store,” he said. The file could not be found in the midst of the chaos which passed for the store. Sarmah said that as he was unable to extend the registration of his vehicle he would not be able to use the car for one week. “There is no system in keeping the files at the DTO’s. They are strewn all over the corridor, verandah apart from the store room. Most of them are tattered,” he said. “One would be very lucky to unearth any file from this heap of torn, dust layered dump,” Sarmah said. After thanking him, Sarmah asked the MP to visit the office one day and ask the staff to locate the file of his personal car. “I felt sorry for the store keeper. I tried to help him but the dust was so thick that for most of the time we were coughing and sneezing, “he said. “It is shameful that in this digital age this is how records are stored at the transport office. If the employees do not have the time to upload everything into digital format then they should outsource it to a private agency,” Sarmah suggested. Sarmah is yet to complain to the DTO or the deputy commissioner as he is hoping that the file would be found in one week time. Despite repeated attempted from Northeast Now transport officer Nandeswar Lahkar was not available for comments.